Happy Friday! It sure is happy over here. I’m living it up in Hawaii this weekend and celebrating one of my besties who is getting married tomorrow! Aside from the occasional thunderstorm, the past few weeks in Dallas have been pretty great weather-wise. 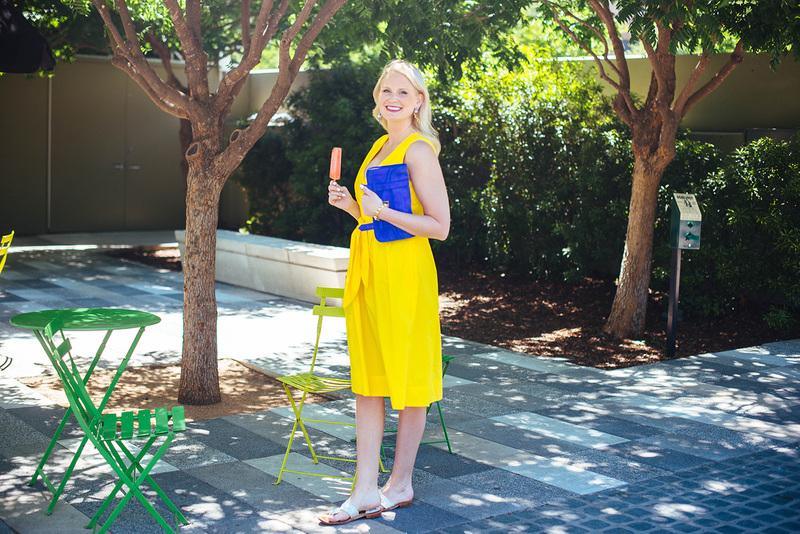 On one hot afternoon in particular, my new intern and I decided to hop on over to Klyde Warren Park to shoot this particularly sunny look. If you’ve never been to Dallas, this park sits smack dab in the middle of uptown and downtown, and features a bunch of yummy food trucks and a couple great restaurants (Savor and Lark on the Park!). 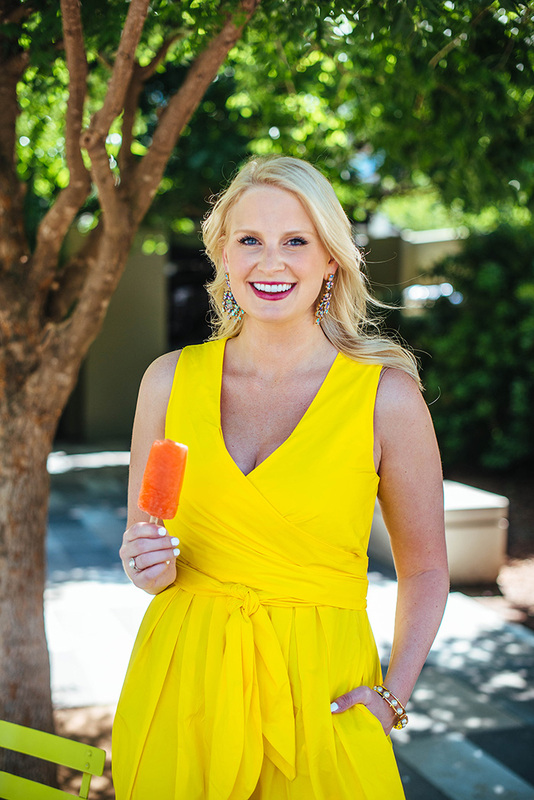 On a pretty day, it’s definitely worth heading over to Klyde Warren for a pop from Steel City Pops or grabbing lunch from one of the many food trucks. 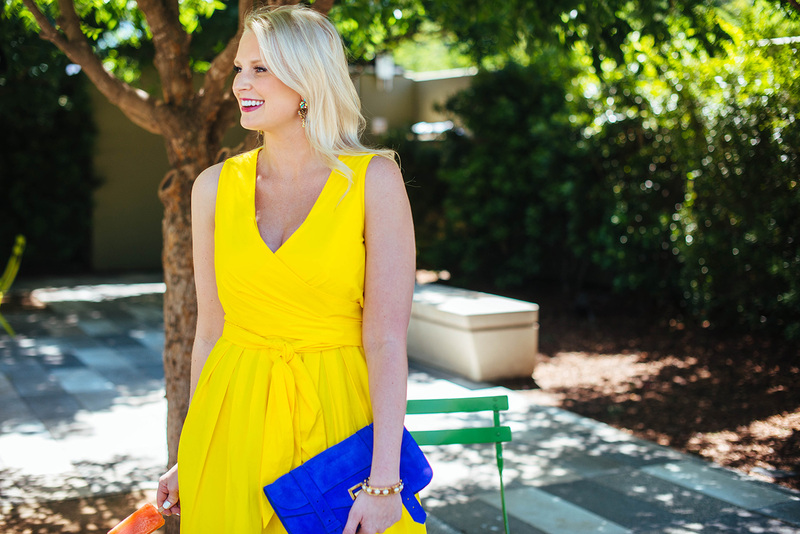 Now onto the outfit… as I mentioned on Tuesday, the color yellow always has a way of making me smile. It’s such a bright, cheerful hue, don’t you think? When I saw this dress in J.Crew’s new arrivals, I was pulled in by the flattering, waist-cinching silhouette. Who doesn’t love a good wrap dress? 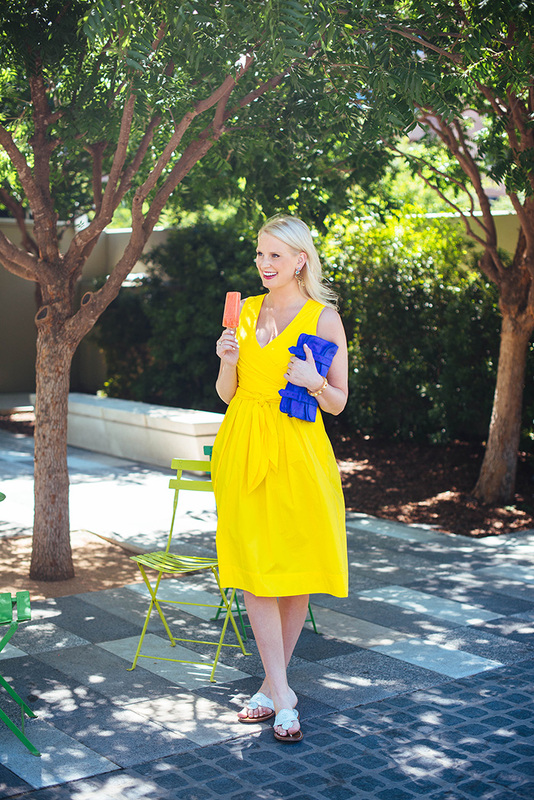 Unfortunately the yellow dress is sold out, but the exact same dress is available in white or a beautiful blue. If this color yellow is screaming your name, J.Crew has a super fun and flirty off-the-shoulder top in this exact shade of yellow! So cute. Pair it with these statement earrings for an eye-catching ensemble this summer. 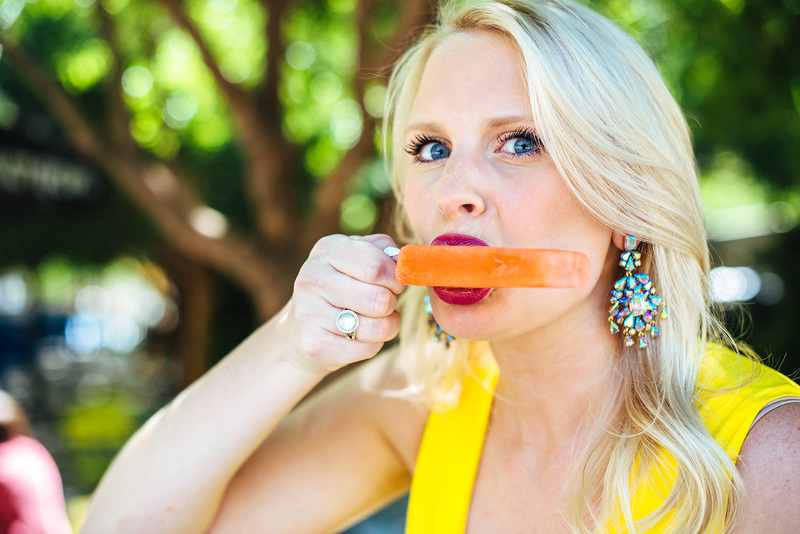 Also, how hilarious is that photo of me eating the popsicle. Proof that I do NOT look cute when I eat! Hope you all have a fabulous weekend! 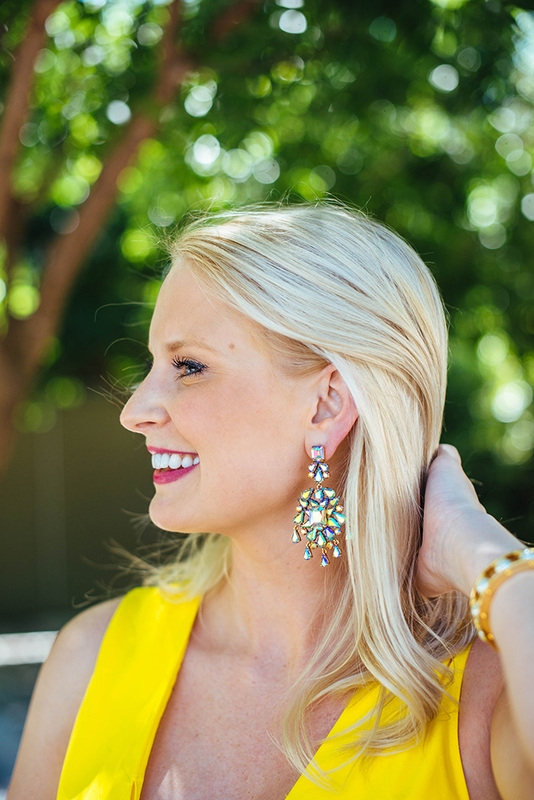 Love your fun earrings and yellow is your color. 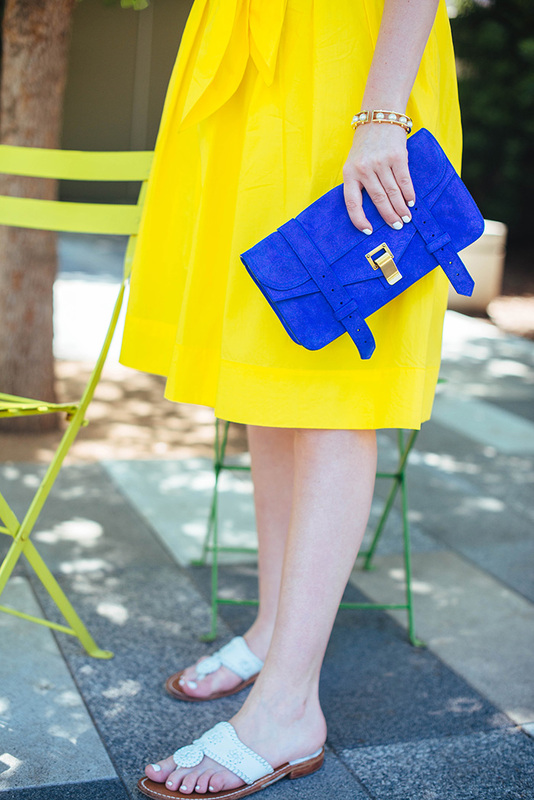 Love the pops of color – no pun intended! I have been looking at this dress! I’m sad the yellow is sold out because it’s so fun! It looks great on you! We have had some rain in Dallas lately so I went bright today too! Loving the bright yellow color. How gorgeous, yellow is striking on you! Hope you’re loving Hawaii! You are too cute! I had my eye on this yellow dress forever, but waited too long. I love these colours! Your purse is perfect! LOVEEE these bright colors on you!! !